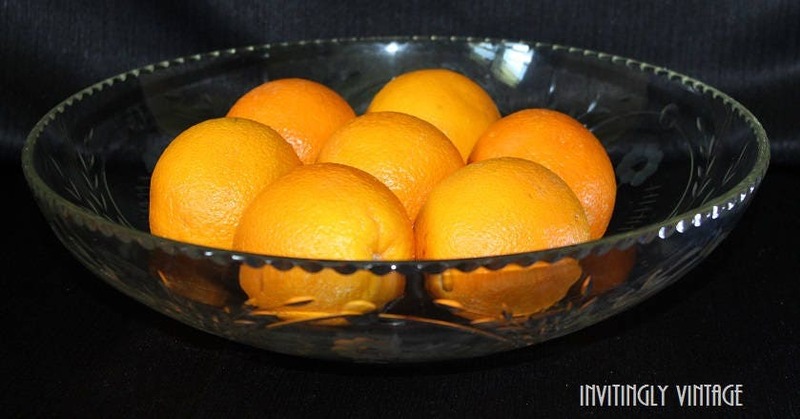 This vintage serving bowl is a large heavy piece. 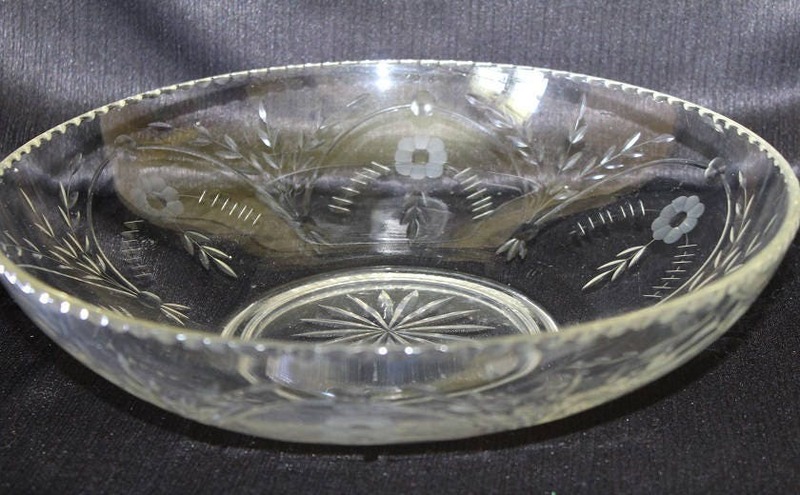 The clear glass bowl has a frosted floral design with pressed glass leaves circling along the sides. 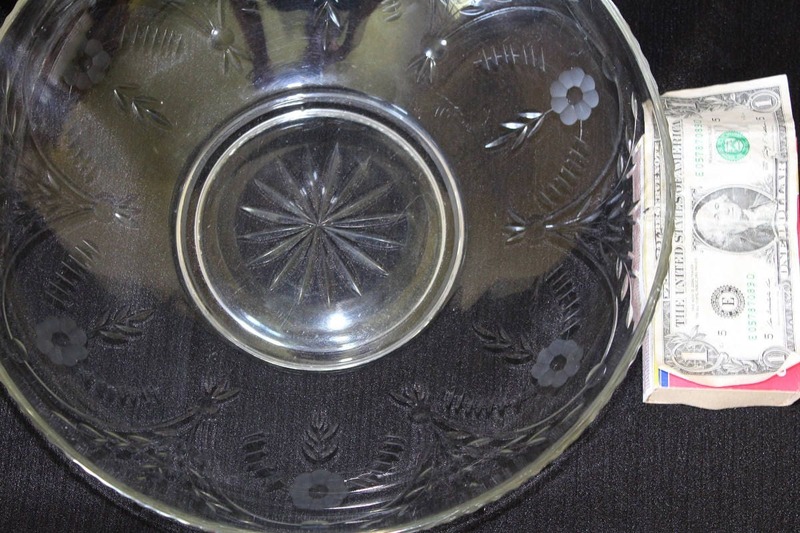 A pressed glassed daisy pattern is centered on the bottom of the bowl, and there is a small thumbnail pattern circling around the rim on the outside of the bowl. 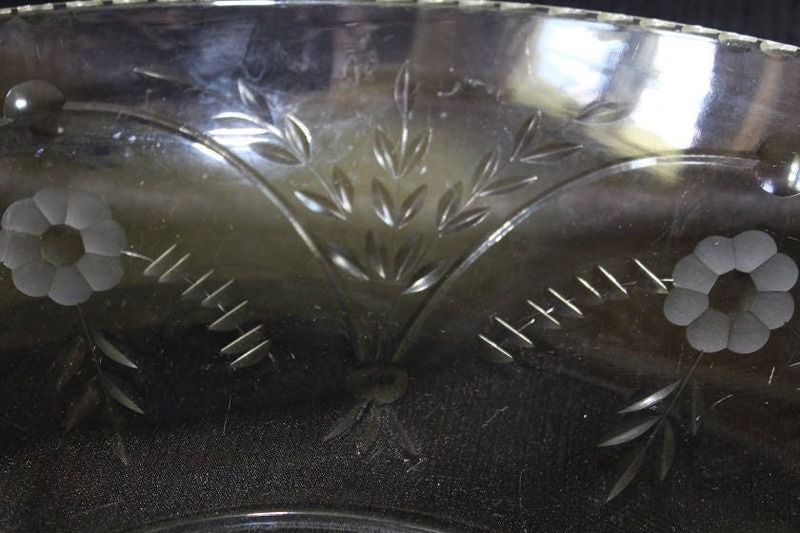 This bowl is in nice condition with no cracks or chips; however, there are some scratches from normal use. Please note: Oranges are not included!